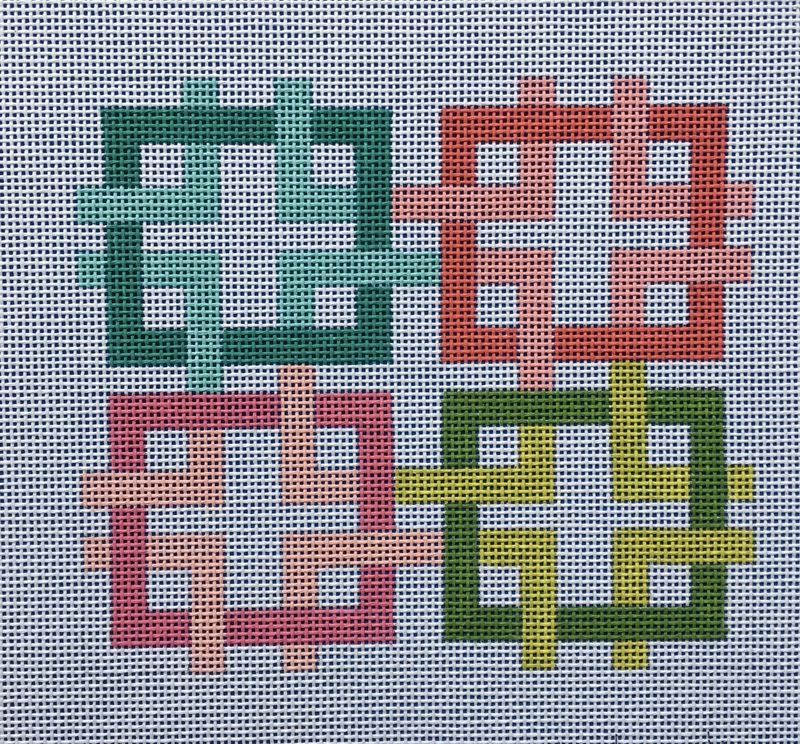 Perfect project for anyone new to needlepoint or looking for a quick adorable project. Straight lines are the easiest lines to stitch. Painted on 13 mesh and can be made into a pillow or wall hanging. Measures 7 inches across and 6.5 inches down.